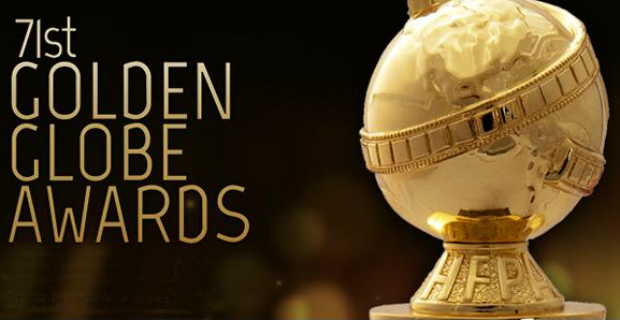 The 71st Annual Golden Globe Awards were held and broadcasted last night. During the Red Carpet Special, Carson Daly shared that the Golden Globes were focusing heavily on social media. With their own hashtag showing up in the corner of our TV screens, a Twitter, Instagram, and Facebook account, they most certainly kept to their word. While live tweeting the show, I noticed a few questions were repeatedly ask and I had a few questions of my own. Below I give you my answers but I'd much rather hear your answers in comments or tweets! If you could be a part of the Golden Globes, what position would you want to take on? With an event this large, there are many positions to be filled. The question is, which position would you kill to have? I personally would want to be either a planner who made the entire event happen, a red carpet host, or a part of media relations. As I tweeted last night, "One day, I'll be live tweeting from the red carpet and not my blue couch." Who would sit at your table? I sat and thought about my answer to this question for quite a while. I even asked my mother. I came to the conclusion that my table would be filled with handsome men and then one woman, Sandra Bullock. Two of the men being Robert Downey Jr., Bradley Cooper, Matthew McConaughey, and Leo (of Course). I'd love to have Meryl Streep and after last night, I wouldn't mind having Emma Thompson at my table! But in all honesty, it's a huge ballroom filled with extremely talented and gorgeous people in which I would be happy to sit with anyone in attendance. Who was the best and worst dressed? As a publicist, what tips would you give your client on giving acceptance speeches? Basing my advice off of what I witnessed last night, I would tell my client to take a deep breath before speaking. Keep your acceptance speech short, clean, and true to you. Oh and when you hear the music starting to play, that means wrap it up! What size shoe do you wear, Emma Thompson? While the first thing I thought was, "I love heels, but I'd be taking them off too, Emma!" , many people jumped to Twitter exclaiming that they'd gladly take the Louboutins she nonchalantly threw over her shoulder with a martini in hand. However, I most certainly wouldn't mind having a pair, so what size were those Emma?